These exotic ceramic art vases are crafted one at a time by local artisans in Central America. The black and white vase's natural sparkle comes from the black volcanic sand used in the glaze, and the green and black leaf vase has an etched curvilinear design. Made in Nicaragua. Supple silk and puckered textures add instant personality to your wardrobe. Hand dyed silk threads are spun and woven to create this vibrant accessory. Made in India. These sheesham (or Indian rosewood) bookends feature an intricate tree design hand-carved and perforated by Indian artisans using the traditional Jali technique. Due to their handmade nature, each pair is a unique work of art. Made in India. This shawl's mysterious beauty originates with the lustrous silk derived from vintage saris. 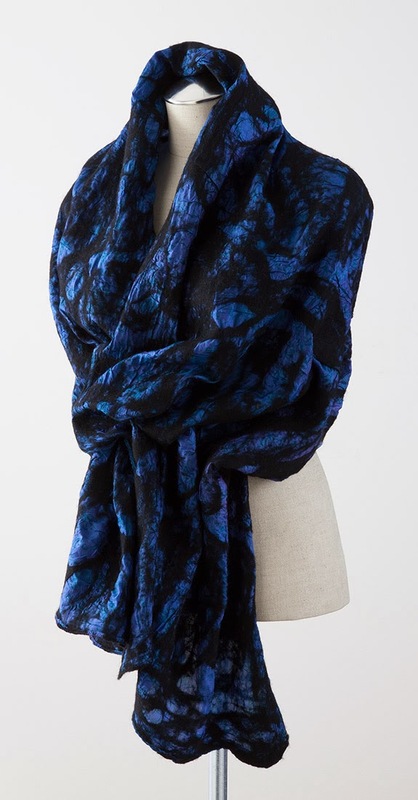 Its colors and patterns are glimpsed through the shadowy textures of extra-soft merino wool fibers–like a twilight sky viewed through the branches of a tree. Made in Nepal.